‘When you are passionate for your work, age is absolutely no bar’, proves the famous journeyman Al Jaffey. 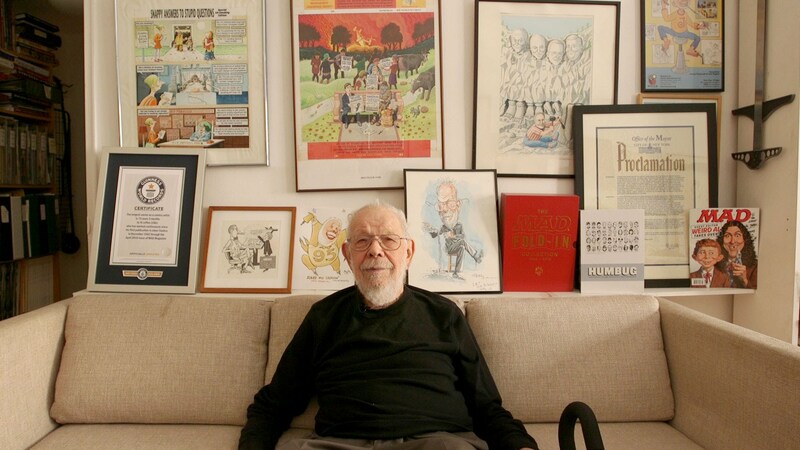 Enjoying his work so immensely, he managed to obtain a Guinness World Record for being the longest working cartoonist in history. Well, sheer passion and commitment are the only tools which helped him achieve this big in his life. Convinced with the idea of doing something different, he came with the plan of doing a cheap fold-in for MAD Magazine. Working for the first fold in he came up with thought of ‘Who would be Elizabeth Taylor’s Next?’ he was frightened about his idea. But surprisingly, it was accepted by the publishers and he was asked for more such ideas. Driven by the motivation, he came up with an amazing idea, wherein the face of the ‘President to be’ was actually hidden in the lamps on the side of the picture. Later, he came up with 450 innovations of this type. A lover of hand drawing, Al Jaffey loves to work, and his young heart can’t be defeated by anyone for sure!